Self-driving car’s fatality accident raises inevitable legal questions | Car News, Reviews, & Pricing for New & Used Cars. 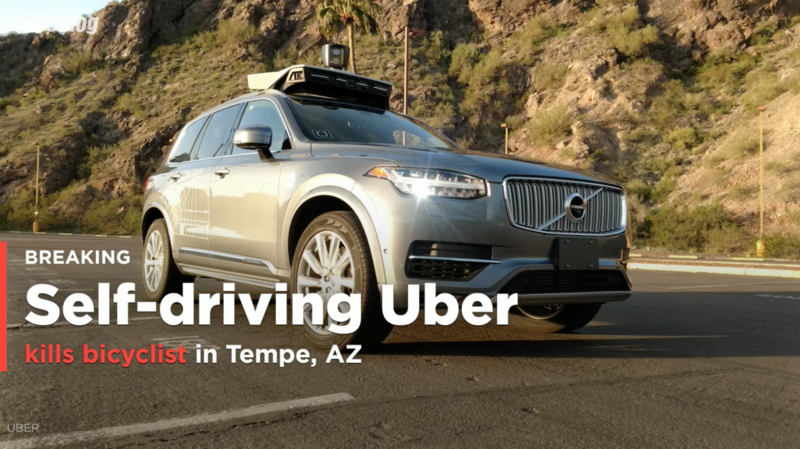 In Sunday’s accident, Elaine Herzberg, 49, was walking her bicycle outside the crosswalk on a four-lane road in the Phoenix suburb of Tempe when she was hit by the Volvo XC90 SUV equipped with Uber’s autonomous technology. It was traveling in self-driving mode at about 40 miles per hour, police said. Sergei Lemberg, a California-based lawyer who has brought several lawsuits against self-driving car manufacturers, said that Uber, Volvo, which manufactured the sport utility vehicle, and any companies that supplied self-driving technology to the vehicle could potentially be held liable if litigation ensued from the Tempe accident. The “safety” driver who was behind the wheel but who appears not to have operated the vehicle could also be named as a defendant, Lemberg said. Until now, most litigation over non-fatal accidents involving self-driving vehicles has been confidentially settled, according to legal experts. A case in which a motorcyclist sued General Motors after a collision last year with one of the company’s autonomous test cars in San Francisco is pending. Paul Rafferty, a California-based lawyer who represents carmakers, said such agreements in the autonomous vehicle world are confidential, and disputes over indemnification are generally arbitrated or mediated behind closed doors. Previous articleHave you seen this crystal-studded Royal Enfield Bullet 350 yet?